Buffalo Bill is a daytime hybrid with outstanding effects. Its powerful Sativa high jumpstarts any user’s day while its mental upliftment instantly improves moods. In the process of doing so, it relieves the mind of negativity and allows one to experience hours of catharsis. Its backstory is quite fascinating. Though New House Seeds initially bred the hybrid, another breeder Doc and Yeti from Washington developed the variety using the same parent strains – Willie’s Wonder and Killer Ken. Since the 1970s, Willie’s Wonder has garnered fame for being one of the most potent grow-at-home strains. 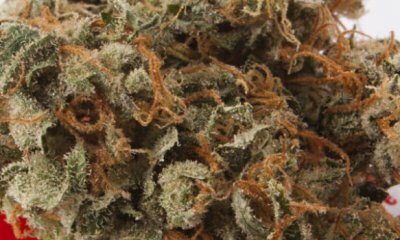 Immediately after combusting its tropical colored buds, it takes users on a euphoric high before locking them down with a profoundly sedating body buzz. Killer Ken, meanwhile, has remained elusive. Suffice to say, its influence on Buffalo Bill is evident in its being a mostly Sativa hybrid. Although toned down, the Indica nature of Willie’s Wonder remains apparent in the offspring. At any rate, both parents gifted the world with the highly potent Buffalo Bill. 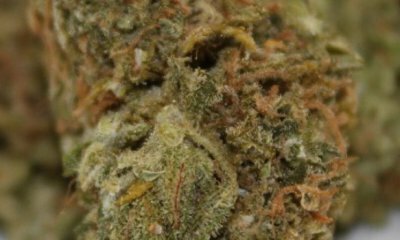 At up to 28% THC, its psychoactive levels may not be for those with low tolerance. But, so long as seasoned users are around to help with the pacing, even beginners can give it a try. Buffalo Bill’s effects often take hold right after the first puff. As with many Sativa-dominant hybrids, it first lifts users to soaring heights before gently rocking them down. At the onset, an unparalleled bliss, that is brought about by a euphoric rush, blankets all the stress and negativity one has accumulated. Adding to the sense of inner peace and serenity is a relaxing sensation that soothes the rest of the body. By sending tingles all over, the Indica buzz promotes ease of movement. This freedom from physical pain complements the persisting mental effects, neither locking users to their couches or causing sedation. As such, Buffalo Bill is the perfect companion to a fun-filled day. Buffalo Bill has well-rounded effects. Its ability to provides both the cerebral and physical psychedelic effects hand-in-hand in enhancing the happy high is not surprising. Due to its absurd high level of THC, though, it is entirely possible that its overwhelming effects may cripple some people. Buffalo Bill has the scent of damp earth. Mixing with it is a refreshing scent of pine with notes of herbaceous sage. Crushing the bud and combusting it reveals a sweet and spicy fragrance that is akin to pepper and citrus. In many respects, Buffalo Bill tastes just like how it smells. The first toke reveals the taste of pine and wood but, bursting in the palate, are the tropic flavors of citric and pineapple. Exhaling the smoke leaves the herbal aftertaste of sage and sweet tea. Buffalo Bill has its fair share of adverse reactions. These include dryness in the eyes and the mouth as well as a bit of dizziness or a headache. It should be noted that the hybrid may cause audiovisual distortions as a result of overindulging. Not only that, but it may also cause an increase in anxiety level. 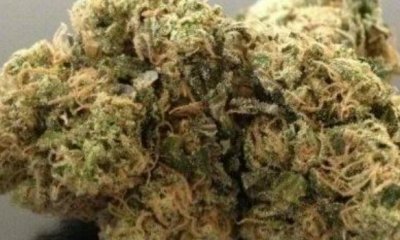 Like most recreational strains, Buffalo Bill does not have a high CBD value. Its therapeutic benefit, however, lies in its psychoactive properties and cannabinoids. As such, the cannabis strain remains invaluable to users experiencing either mental or physical discomfort. The euphoric high is an excellent source of comfort for those needing a dose of positivity in their lives. These are usually people diagnosed with depression or PTSD but may include those bombarded with constant negativity. The hybrid can also be used as a stress reliever. Buffalo Bill is also an excellent analgesic. Its relaxing properties free the muscles of tension and contraction. Hence, this au naturel muscle relaxant is a great choice for managing pain such as cramps, fatigue, and headaches. It may even be better than synthetic pain relievers. Unfortunately, Buffalo Bill is a rare strain that remains out of sight in most local dispensaries. Luckily, online sellers have the bud’s regular seeds on hand and ready for shipment. Such convenience is ideal for any aspiring home grower. A word of caution though. Exercise due diligence and make sure to only purchase from trustworthy sources. Buffalo Bill produces dense buds that drip with iridescent resin. Hiding behind the crystal trichomes are greens and lavenders that seem to intertwine. It is a truly stunning plant. Patience is usually a requirement when growing Buffalo Bill. But once the flowering period of 9 to 10 weeks is over, it will yield about 12 to 14 ounces per square meter. Buffalo Bill flourishes in warm climates. In such optimal conditions, each plant will yield more than 14 ounces of buds by the end of October. Have you ever smoked or grown your own Buffalo Bill? Please let me know what you think about this marijuana strain in the comments below. The post Buffalo Bill appeared first on I Love Growing Marijuana.